Blackjack is one of those games that's easy to learn but deceptively hard to master. While there are some games you can't win (sometimes luck just isn't on your side), there are a few strategies you can use to increase your chances of success. Here are a few invaluable insider tips to up your winning streak. One of the easiest mistakes to make during a hand of Blackjack is taking a hit when you don't need to. If you've got a hard 17 it's always best to stand, as there are only four cards that can benefit you out of the whole deck, which doesn't make for good odds. Having an ace gives you a lot of flexibility, so you should always hit if you've got a soft 17. You can easily use the ace to bring you back down to a lower value if you go over 21 (although this might not matter depending on which rules you're playing with) and the chances are good you'll get a better hand overall. As a general rule, if your dealer has a 7 or above, you don't want to stand if you have 12 to 16. The chances are the dealer will outvalue you when they hit. It's worth noting that sometimes standing on anything under 17 is certainly a good play, but only if the dealer has a high value hand that could bust them easily. One of the myths of gambling: nothing will drain your winnings faster than thinking you're on a winning streak. Even if you've won a few games in a row, no matter how lucky you think you might be, it will end. The best thing to do is keep your cool. Either expect and accept loses, or simply stop playing while you're ahead. If you tend to play casually, then you might not be so concerned with this piece of advice, but it can be very helpful for your game nonetheless. A quick search online for blackjack strategy will give you a variety of results tailored for different tables and games. These can be very useful indeed if you play regularly at a casino. While this is obviously down to personal preference, if you want to make the most you can or simply make sure you walk away from the game with some winnings, you should be extremely careful about going all in. A more methodical approach (winning, then betting a certain percentage of your winnings while banking the rest) will always ensure you leave the table with something if you've won a few hands. As a general rule, you don't want to split on 5s or 10s. You'll get better chances of a win from splitting higher value cards like aces or 8s, as once split they still have a decent probability of improving your hand. If you're playing in a casino, there's almost never a good reason to take insurance. The simple fact is it's always going to be in the casino's favour, so you'll get no advantages at all. Doubling down can remove the house advantage, so it's a useful tactic. Overall, you'll want to try doubling down on 11. It's generally too risky to double down on lesser values. Don't forget you can't double down on 11 if the dealer has an ace however. Whether you've got a good hand or a bad, knowing when to call it a day can not only save your wallet, it could save your pride (especially if you're having a horrible turn of luck). If you start feeling frustrated or invincible, it's best to take a break. Enjoying the game and playing sensibly will give you the best overall experience. It's worth keeping in mind that some of these tips are specific to casino play, but you can still apply them to online live games and some video table games too. 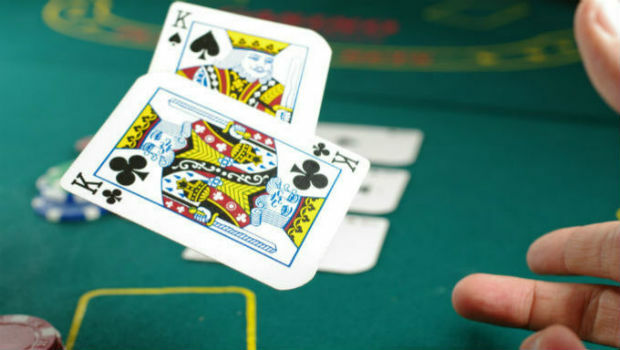 One thing to always remember is to fully understand the version of blackjack you’re playing and find out any house quirks certain casino versions might have, as these can change your approach.